Rachel Jenner is walking in a Bristol park with her eight-year-old son, Ben when he asks if he can run ahead. It’s an ordinary request on an ordinary Sunday afternoon, and Rachel has no reason to worry—until Ben vanishes. Rachel Jenner and her eight-year-old son, Ben and their dog are taking a walk through Bristol Park. This is something they often do together. Ben asks if he can go ahead a bit on his own, Rachel says yes and off he goes. After a short time, Rachel calls for Ben and he doesn’t answer. As she searches for him she starts to panic, in only moments her worst fear, any parents worst fear has happened…. I thought that the author did a fantastic job of portraying how differently people could react in this situation. Emotional and gripping I couldn’t stop reading. I wanted to know what happened to Ben. In my opinion, this was an amazing debut psychological thriller. I would definitely recommend this novel. I am hoping to read more from this author soon. In VOX people in the United States are given a 100 word per day limit. But NOT everyone is given this limit….just the female population. They wear a counter on their wrist to keep track of how many words they speak. If they go over the 100 word limit…they pay a painful price. What happens if people try to communicate in other ways such as writing things down or using sign language? Well, let’s just say it’s not something they want to find out. Words shouted out in passion, in anger, in a child’s nightmare – IT ALL COUNTS!! They are kept a prisoner in their own country. Some people fled to places like Canada, Mexico in the beginning, but now there’s no escaping. Jean’s husband, Patrick reminds her with a tap on her counter that she only has a few words left for the day. The counter will reset at midnight. Her husband and sons have to remember to ask close-ended questions to Jean and her daughter, six-year-old, Sonia. Her sons are eleven and they have seen what happens if more words are spoken. There are times where she’s irrationally angry at her husband and sons. But now THEY need Jean’s help, her expertise. At first, she tells them she won’t help them, but then they make her another offer….one she doesn’t know if she can refuse. 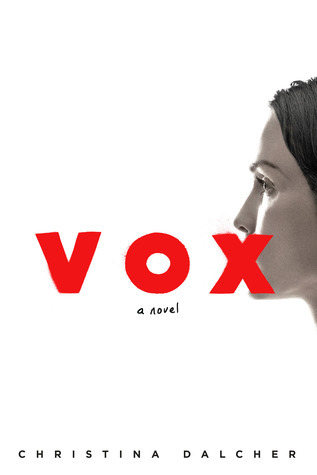 In my opinion, “Vox” is a thought-provoking, excellent read. I’d like to thank Berkley Books for giving me the opportunity to read this book in exchange for my honest review. Ever since her husband’s death collided with the birth of her daughter, postpartum depression has taken hold of Veronica Shelton. She can’t sleep, can’t work, and can’t bear to touch her beautiful baby girl. Her emotional state is whispering lies in Veronica’s ear: You’re a bad mother. Your baby would be better off without you. But not everything can be reasoned away by Veronica’s despair. Can it? After all, the break-in at her house happened. The disturbing sketches she found in her studio are real. 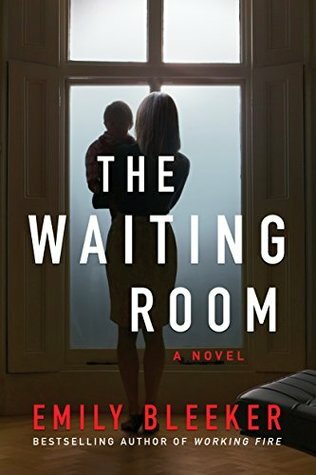 So is the fear for her daughter’s safety—especially when Veronica comes home to a cold, silent nursery and a missing baby. Books about missing people always catch my attention. This will be my first read from this author and I’m really looking forward to it. As soon as I read that, I knew this was a book I would have to read. It was just released last week and I really hope to get my hands on it soon. If you’ve read this one already, I would love to hear what you thought of it. When Becca was just a teenager and struggling with health issues, her good friends banded together and made her a video recording to lift her spirits. It was ninety minutes long. A take on Saturday Night Live they called it “Becca Night Live”. It did cheer her up and it’s one of the reasons her family still owns a VCR to this day. The cast consisted of Jordana, Seth, Holly, and Lex. All these years later the tape is still being played…mostly by Becca’s seven-year-old daughter, Emma. She can’t get enough of it. Now twenty-five years later Becca and her friends are going to reunite in honor of Becca’s 25 years of good health. Becca is really excited about the trip. However, a phone call she receives a few days before they are scheduled to leave changes everything. She has some tough decisions to make. Her husband, Nolan who should be making things easier on her, is actually making things much worse. Jordana has put a lot of effort into hosting the “Cast Party” reunion on the Fourth of July. So if the guest of honor doesn’t show …she’ll be devastated. Becca doesn’t know it but her friends are also having troubles of their own. Will the reunion be over before it’s even begun? This was an interesting novel that I read in just a couple of sittings. The story is told from multiple points of view. We get to see how each of the other cast members/friends have grown and what their current struggles are. Though the novel deals with a lot of emotional issues, there were also some funny parts that helped lighten things up. I enjoy stories that deal with lifelong friendships. It was interesting seeing how these characters and their relationships changed and developed over twenty-five years. There were a couple of characters that I wish I’d heard more from, but overall, I thought that the characters were well-developed and their stories relatable. 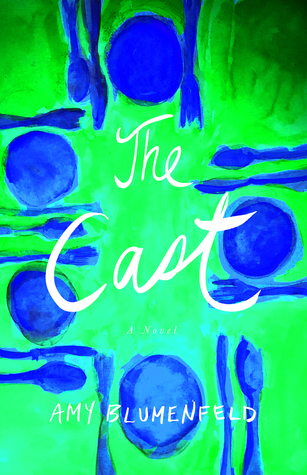 “The Cast” was an engaging read about friendship, marriage, illness, and many of life’s other challenges. I’d like to thank SparkPress for giving me the opportunity to read this book in exchange for my honest review.